So, now you have completed your 12th class. It’s high time to choose the right career program for a better future. Few years back, students tend to choose engineering and medical degrees as a career choice after 12th, but now the situation has changed. Due to globalization in corporate sector, the demand of management courses is rising at a fast pace and aspirants are diverting towards management programs for better growth prospects and salaries. Bachelor of Business Administration (BBA) is one of the top business management courses after 12th that offers a participant theoretical, practical and conceptual knowledge in various aspects of the business. 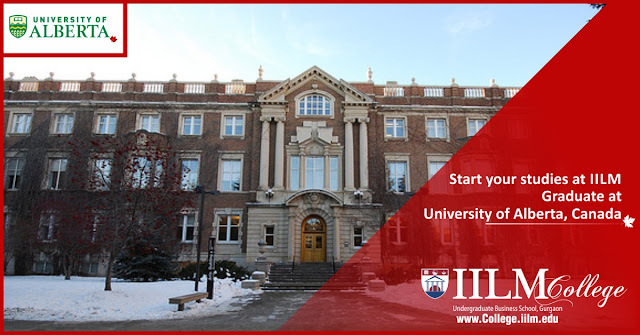 This degree program is designed to offer a broad knowledge of the business operations of an organization. The program also exposes the candidates to a wide variety of core as well as specialized subjects to develop their managerial, practical, communication and business decision making capabilities. • Cost – With the increasing cost of tuition, fees should be the main parameter when deciding where to go. Also consider what kind of financial aid packages the BBA College in India offers. Do they offer any grants or scholarships? Or is it mostly student loans? All these are crucial parameters to consider while selecting a college. • Area of study – Each BBA institute tends to have a field of study that it is well known for. Do thorough research on your prospective majors and learn about its reputation. For example – If you are interested to start your own business venture, then look for a BBA college offering Entrepreneurship as one of its specializations. Picking the right BBA college will allow you to get teaching from the best faculties. • Job opportunities – When thinking about which BBA school to attend, you must consider about your future job prospects, placement opportunities, infrastructural facilities, living situation and the culture of the institute. Evaluating these parameters beforehand will ensure that your BBA institute experience is both rewarding and memorable. • Culture – Each BBA college has its own key features which include extracurricular activities, quality of faculty, international exposure opportunities, club activities, debates and personality development workshops and more. Consider all these facilities and qualities about the institute before applying. • Accreditation of the college – Before joining any college for BBA, check whether the institute is accredited by the regulatory body. Accreditation is a certificate offered to the college by the government authorities to show that the particular BBA institute does meet relevant academic standards. At the end, we can say that BBA from one of the leading schools in India is one of the most sought after management courses after 12th that helps the students to gain the latest know-how about business operations. From taking care of legal implications to learning about operating strategies, the course helps you to take the first initial step towards your entrepreneurial journey.